A celebration of two cultures geographically distinct but intimately linked through a shared experience of suppression. Caught in the Middle is a beautiful and affecting performance inspired by the lived experiences of Indigenous artists Heath Bergersen, Elle Sofe Henriksen and Ánne Mággá Wigelius. Directed by Kate Denborough, Caught in the Middle urges us all to consider our own identity and our connection to First Nations people. Combining dance traditions from both Sámi and Australian Aboriginal cultures with contemporary forms, Caught in the Middle creates a new shared physical language, highlighting connections formed across borders and oceans, across different languages and values. Sámi yoiking, didgeridoo and modern day jazz and pop vocals meld together to create an arresting soundtrack to this extraordinary multi-disciplinary performance. 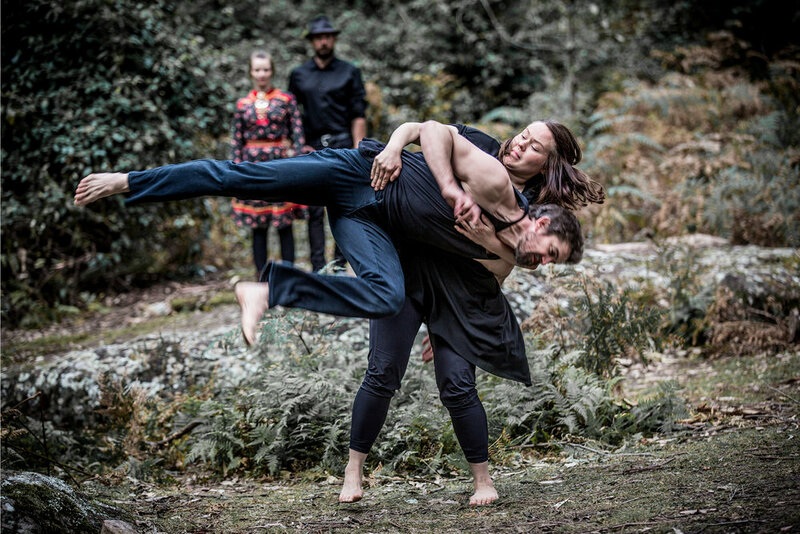 Caught in the Middle is a captivating new work from the genre defying Australian dance company KAGE. 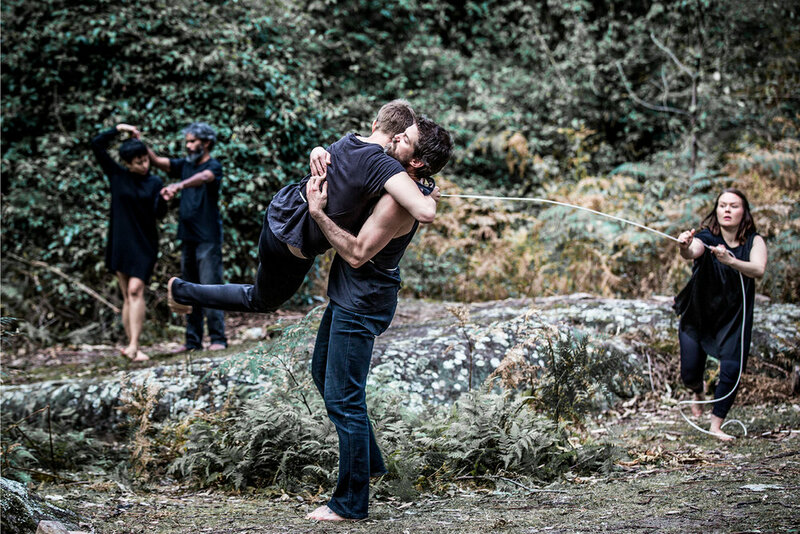 We completed our second creative development of Caught in the Middle at a Bundanon Trust residency in NSW in November 2017. Thank you to Bundanon Trust for this opportunity. Caught in the Middle will be touring throughout Sweden, Finland and Norway in March 2018. Presenters - for further information, technical specifications and marketing pack please contact Kate Denborough.